the opening air strike by Israel at the start of the Six Days War of 1967. 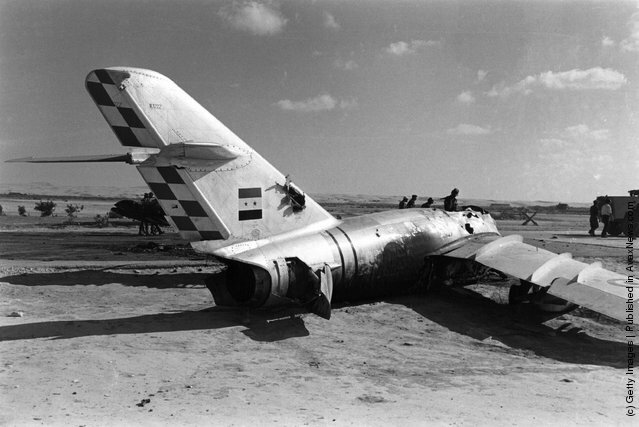 It is sometimes referred to as "Sinai Air Strike" since the focus was primarily on airfields around the Sinai At 07:45 on June 5, 1967, the (IAF) under Maj. Gen. Hod launched a massive air strike that destroyed the majority of the Egyptian air force on the ground. By noon, the Egyptian , Jordan and Syrian Air Forces , with about 450 aircraft, were destroyed. It was also very successful in disabling 18 airfields in Egypt, hindering Egyptian Air Force operations for the duration of the war. 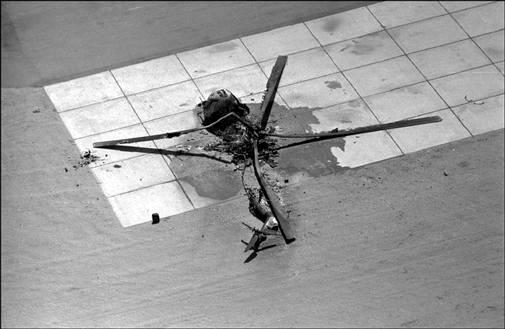 In three main waves of aerial attacks, and several smaller waves in the days following the operation, a total of 452 aircraft were destroyed, most of them on the ground. This left the IAF in almost complete control the skies , and able to effectively assist the Israel Defnce Force (IDF) ground units. 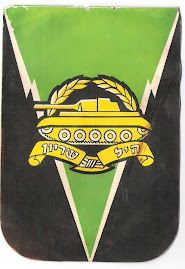 Operation Moked was launched at 7:45 am Israeli time (8:45 Egyptian time). Nearly all of Israel's 196 combat aircraft (mostly French/Dassault) were committed to the airstrike, with only twelve being held back to patrol Israeli airspace. Egyptian defensive infrastructure was extremely poor, and no airfields were yet equipped with shelters able of protecting Egypt's warplanes in the event of an attack. The Israeli warplanes headed out over the sea before turning toward Egypt. 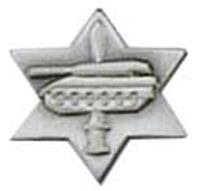 Meanwhile, the Egyptians hindered their own defense by effectively shutting down their entire aur defence system: they were worried that rebel Egyptian forces would shoot down the plane carrying Field Marshal Amer and Lt-Gen. Sidqi Mahmoud, who were en route from al Maza to Bir Tamada in the Sinai to meet the commanders of the troops stationed there. In this event it did not make a great deal of difference as the Israeli pilots came in below Egyptian radar cover and well below the lowest point at which Egypt's SA-2 surface-to-air missile batteries could bring down an aircraft. 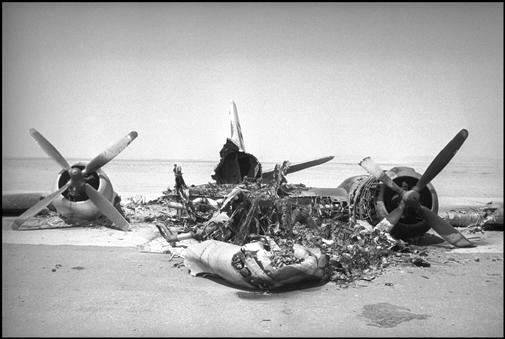 The first Israeli wave attacked 11 bases, catching much of the Egyptian Air Force on the ground and destroying them before they got airborne. 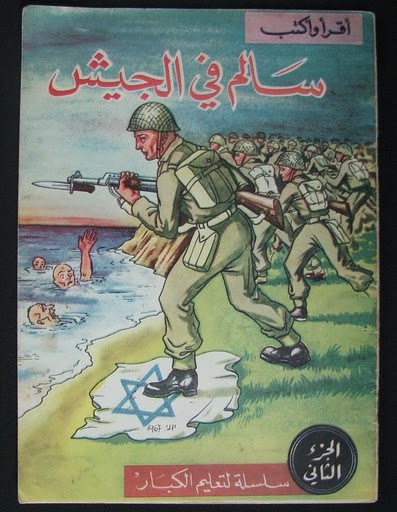 The Israeli jets then returned to Israel, were "quick-turned" (refueled and re-armed) in 7 minutes 45 seconds, and left in a second wave that attacked 14 Egyptian bases and returned with only minor losses. They "quick-turned" again and departed in a third wave. The opening stages of Operation Moked were a complete success: Egypt's air force of nearly 500 combat aircraft was destroyed in the space of three hours, with only minor losses to the Israeli Air Force. When Syria, Jordan, and Iraq attacked Israeli targets in retaliation for the airstrike on Egypt, their attacks were mainly directed at civilian targets[ and were largely ineffectual. In response many of the IAF planes headed for a third strike on Egypt were diverted en route to Syrian and Jordanian targets, and other IAF aircraft were sent against Arab ground forces in support of Israeli ground forces. 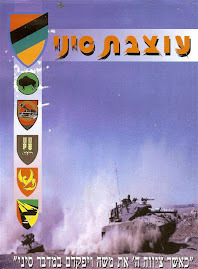 On the second day of the war (June 6) the IAF was used against Egyptian, Jordanian, Syrian, and Iraqi ground forces. 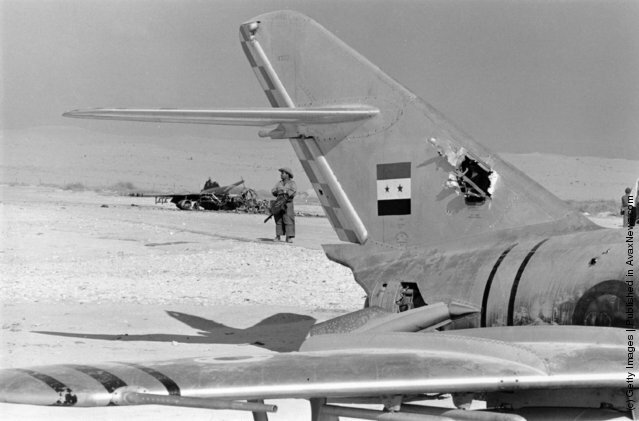 On the third day (June 7) the IAF destroyed hundreds of Egyptian vehicles trying to flee across the Sinai in convoys and trapped thousands more in narrow Sinai passes. By the end of the third day Jordan's air force of 34 combat aircraft had essentially ceased to exist and the Jordanian military was no longer in the fight. By the sixth and final day (June 10) Syria had lost approximately 100 combat aircraft and the fighting was over. 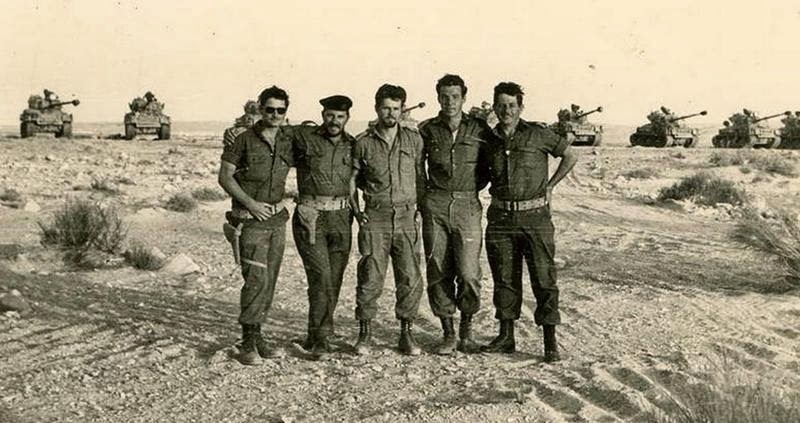 During the Six Days War , the IAF , with 196 combat aircraft at its disposal had prevailed over a coalition with approximately 600 combat aircraft. 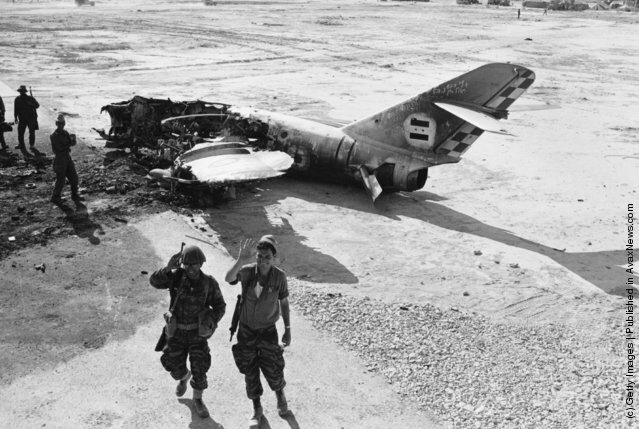 The IAF destroyed 452 enemy aircraft, including 79 in air combat, while losing 46 of its own. 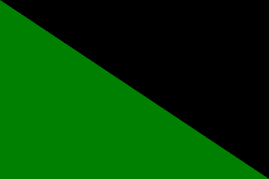 24 Israeli pilots and an unknown number of Arab pilots were killed. Israel lost 19 aircraft in the operation. 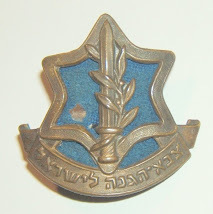 The most famous period of Mordechai Hod's career came in June 1967. Since the beginning of the year were still evident aggressive plans for the Arab countries towards Israel. 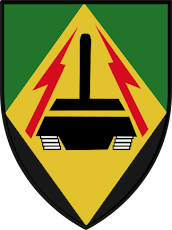 14th May joined the Egyptian army into the demilitarized zone on Mount Sinai and UN troops are deployed to the forced withdrawal. In addition, the 22nd May Egypt blocked the Straits of Tiran to all shipping traffic, leading to the Israeli port of Eilat. These acts were flagrant violation of the ceasefire agreement concluded in 1956, despite the fact that the armies of Arab war preparations clearly showed that more Arab aggression is only a matter of time. The Israeli government has therefore adopted a decision to carry out preventive air strike against the air forces of the neighboring Arab countries. 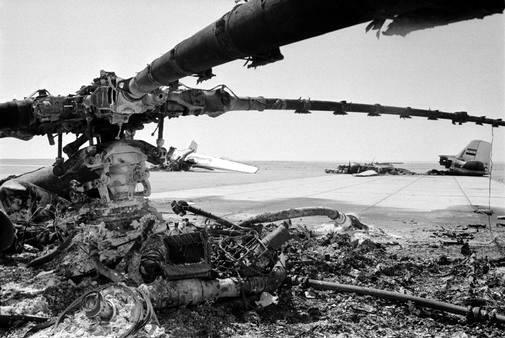 On Monday, 5 morning in June 1967 started the first 38 aircraft and 141 aircraft subsequent waves, which attacked the nine air bases in Egypt and was discontinued within 45 minutes of the runway and on the ground and the air had destroyed nearly 150 Egyptian military aircraft. Mordechai Hod later called it "the longest 45 minutes of my life." 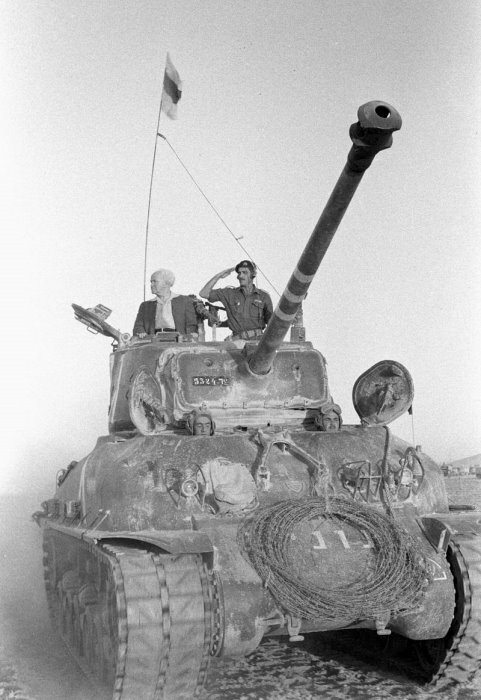 After these 45 minutes, but could the chief of General Staff, General Yitzhak Rabin, without any pathos historical statement said: "The Egyptian Air Force no longer exists." After the efforts of the IDF / AF turned against Syria, Jordan and Iraq to the end of the day came back to finish their work in Egypt. In one day proved to the IAF on the status of 197 combat aircraft, 474 combat during takeoffs knees air forces of four Arab countries and destroy their 374 aircraft (286 in Egypt, Syria 52, Jordan 27 and 9 in Iraq). 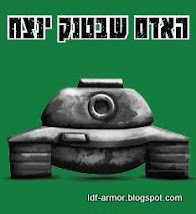 Over the next five days, the Israeli army occupied the entire Sinai Peninsula, the entire West Bank (today's West Bank), including East Jerusalem and the Golan Heights. 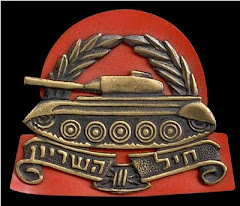 The conflict from the perspective of history gone down in history as the " Six Days War ", from the standpoint of military strategy as a prototype of the art" parallel war ", who later triumphed in the Allied Operation Desert Storm in 1991. God bless the wonderful people of Israel, the LORD will make his enemies at his feet, victory over enemies around them, Colombia is with you.